While a lot of people want to earn miles or points to use towards travel rewards such as free flights or hotel stays, many are simply looking for a credit card that offers cash back on purchases. You may not be familiar with the following cards but they deserve consideration. For a limited time, TD Cash Rewards is offering one of the most competitive cash-back offers on the market today. Until January 4, 2016, new members can earn $200 cash back after making $1,500 in purchases on the card within the first 90 days that your account is open. Additionally, cardholders earn 5% cash back on eligible purchases including dining, groceries, and gas for the first six months that your account is active. Rewards are capped at $450 during this time period. All other purchases earn 1% cash back (unlimited). There is a 0% introductory APR on balance transfers also available to new members for the first 12 billing cycles. A balance transfer fee of 4% (minimum $10) is applied to each transfer. Balance transfer requests cannot be less than $250. TD Cash Rewards has no annual fee. Important: This credit card is only available in the following states: Connecticut, Delaware, Florida, Maine, Maryland, Massachusetts, New Hampshire, New Jersey, New York, North Carolina, Pennsylvania, Rhode Island, South Carolina, Vermont, Virginia, and Washington, DC. New account holders can receive $100 cash back after spending a minimum of $500 in eligible purchases within 90 days from when your account is opened. Additionally, this card currently offers a 0% introductory APR on purchases and any balance transfers completed within 60 days of account opening. A fee of 3% of the total amount of the transfer will be applied to each balance transfer that posts to your account. Members earn 3% cash back on gas and 2% cash back on groceries (up to $1,500 in combined purchases each quarter). Amounts over this spending threshold earn 1% cash for the remainder of the quarter. All other purchases earn unlimited 1% cash back. Bank of America banking customers earn an additional 10% rewards bonus when you redeem your rewards directly into a BofA checking or savings account. Preferred Clients can earn up to a 75% bonus based on combined account balances. 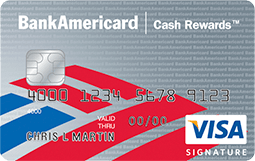 The BankAmericard Cash Rewards Visa has no annual fee. 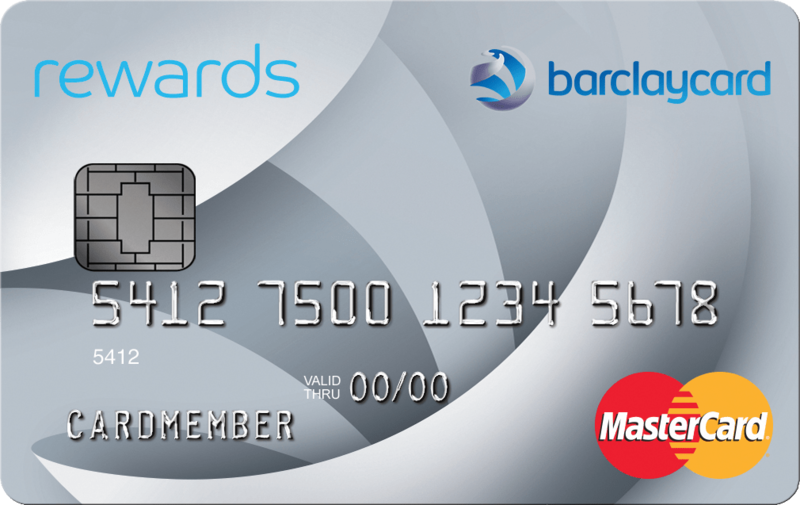 Barclays Bank issues several good travel rewards cards such as the Barclaycard Arrival MasterCard and the Barclaycard Arrival Plus MasterCard but it also offers consumers a decent cash back credit card – the Barclay Rewards MasterCard. Members earn 2X cash back per dollar spent on gas, grocery and utility purchases and 1X cash back on all other purchases. There are no rotating categories and no quarterly sign-ups required. Cash back rewards are earned as points which can be redeemed for rewards such as cash back statement credits and gift cards (starting at 1,000 points for $10). Points never expire as long as your account remains active and in good standing. The Barclaycard Rewards MasterCard has no annual fee.